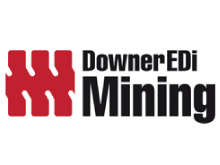 Downer’s Mining division has been successfully delivering contract mining and civil earthmoving services to an impressive list of global clients for almost 90 years. It is now one of Australia’s leading diversified mining contractors, with around 5,000 employees and 700 contractors working across more than 50 sites in Australia, New Zealand, Papua New Guinea, South America and South Africa. Metals Group, Idemitsu Australia Resources, Ok Tedi Mining, Peabody Energy Australia, Rio Tinto, Solid Energy, TRUenergy and Wesfarmers Resources.